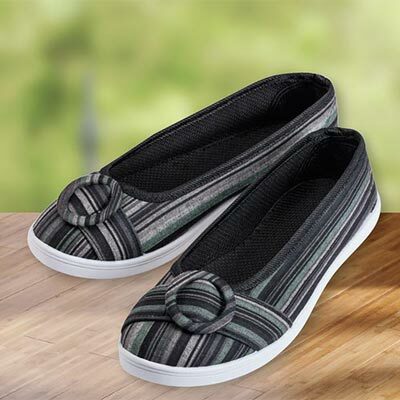 Pamper your feet with these comby, casual Striped & Buckled Loafers. Accented with a pretty buckle for extra detail. Polyester with reinforced heel and non-slip sole. Imported. Hurry! Quantities are limited!